Posted on July 22, 2015 by Katrina C.
Spectroscopy is a growing field in the applications of light science and researchers are finding new ways to utilize this technology to support forestry efforts and industrial manufacturing. Advanced near-infrared reflectance spectroscopy (NIRS)1 is opening the door to better product development from the ground up…literally. From seed quality analysis to “rapid assessment of material and product variables throughout the manufacturing process”2, spectroscopy can provide valuable information to increase reforestation efforts and improve efficiency in forest product industries. Applications of spectroscopy in the field of forestry are just in the beginning stages, but initial research shows there many ways in which we can utilize this technology. NIR spectroscopy has been widely used in the agricultural industry for over a decade and this same technology is now finding its place in various forestry applications. Spectral technology for timber and seed quality analysis is ideal in forestry because it offers a rapid, non-destructive, and low-cost method for analyzing the specific characteristics of the various elements related to industry applications. Since the early 1990’s, agricultural researchers have been using NIR spectroscopy to analyze seed mixtures of grasses, maize, and oats for plant breeding trials3 and to estimate peak harvesting times. In forestry development, this technology can be used for genetic analysis that can be performed on a single seed basis. NIR spectroscopy can also be applied to reforestation efforts and used to determine optimal maturity in selected logging areas for advanced timber production. 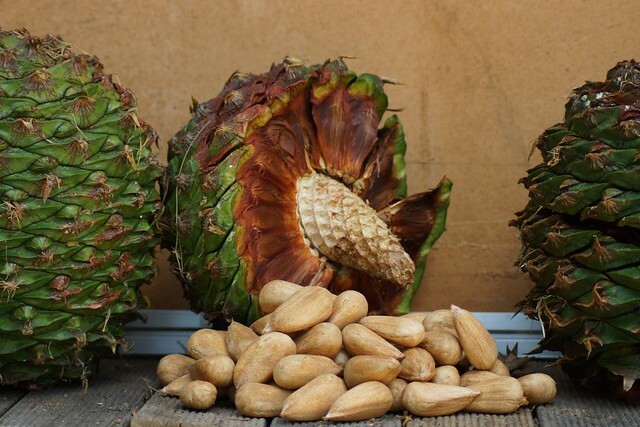 Seed quality analysis is widely used in forestry to help increase quality in timber production. Timber analysis is another important application of NIR spectroscopy in forestry manufacturing. This technology offers a non-destructive method of quantifying solid wood density, moisture content, and lignin content in bulky wood.4 Identification and quantification of these attributes are mainly focused on classifying the characteristics of wood products for manufacturing. This allows for consistency and quality in raw product materials, which relates to overall quality and efficiency throughout production. The ability to monitor product variables during manufacturing decreases variations while improving production rates and reducing wasted materials. 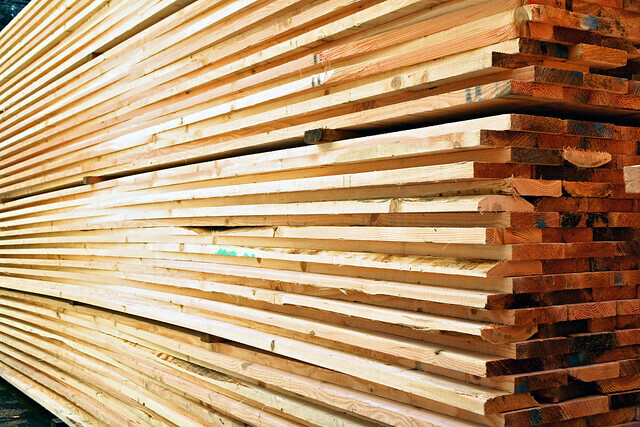 From raw timber materials to real-time production monitoring of forestry products, spectroscopy offers a rapid, non-destructive and effective approach to quality control and process analysis. Utilizing spectral analysis for material assessment has been developing rapidly, and new technology continues to spur advancements in forestry related applications. Wood quality, tree improvement, and even applications for composite wood manufacturing have made spectroscopy a preferred analytical tool in this industry. The rapid assessment of wood properties along with the ability to estimate growing and harvesting potential gives NIR spectroscopy an advantage over other methods of analysis. Not only does this option allow a non-destructive approach to product evaluation, but the durable and rugged design of this instrumentation make it ideal for outdoor applications where the elements of nature must be accounted for. Spectroscopy also allows for online product monitoring during the manufacturing process, with new technology capabilities for quality specification to be set and real-time monitoring for increased efficiency. From the forest to the mill, the applications of spectral analysis in forestry are just beginning to surface as technology and research continue to grow. HunterLab is a leader in innovation and technology, continually looking for ways to improve manufacturing and product development. We are interested in the future of forestry applications and offer instrumentation that ensures effective final product analysis for a variety of building materials. At HunterLab, we work closely with industry professionals to develop instrumentation that meets the needs of our clients. For more information on spectral applications in forestry building materials, please contact HunterLab today. Right now my team is developing radio trunking which able to deliver application . It almost done and some palm oil plantations are interested to use for harvest, fleet and workers activity. This radio currently is used only for voice but later we will use it to run application and telemetry. This service is right for the area which GSM can not cover and using VSAT/Radio Link will increase the cost significantly. This radio for each equipment can cover 5000 hectares. Is there any needs from forestry industry to use this solution ?